IBM keeps reinventing itself and IT professionals with strong IBM backgrounds are some of the most well-rounded professionals in the IT industry. IBM’s latest priorities are in emerging technologies such as AI, cognitive computing and machine learning. 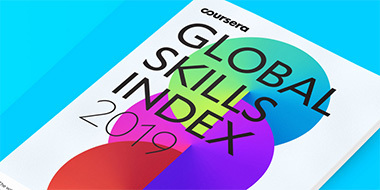 And according the 2018 Global Knowledge IT Skills and Salary Report, IT pros with strong backgrounds in IBM are developing the skills to lead in these areas. What will be the focus in the coming year? While it’s too soon to tell how the recent purchase of Red Hat by IBM will change how it does business, it will position the way you plan for IBM training. Armed with the most current information, you can proactively attack your IBM learning path. The value of IBM Certifications is well-documented. That’s why it’s important to strategically map out your continuing education hours on emerging growth areas. The goal is to focus your efforts on IBM Certifications that enable a profitable return on your investment. Both monetary and professionally. How can you become one of the first people to start leveraging trending industry insights within The Global Knowledge IT Skills and Salary Report? Simple. Global Knowledge administers the largest of its kind in the industry. Your anonymous participation will shed insight into industry salaries, in-demand certifications and what skills are needed today and tomorrow. The report is used by IBM, IT professionals like yourself, organizations and industry thought leaders. The survey takes about 12 to 18 minutes to complete. It is intended for staff and decision-makers who work in and with information technology. In its 12th year, the survey is used globally by IT professionals, HR departments and industry juggernauts to manage their careers, benchmark salary ranges and assesses talent development, and draw conclusions from the data. As a way of saying thank you for answering openly and honestly, Global Knowledge allows you to opt in to receive first access to the report, which will be ready in the spring of 2019. What is IBM Cloud Private for Data?